If you are a leaf-lover, a hunter of sea monsters, a maple syrup addict, or love staying in classic B&Bs or taking scenic ferry rides, Vermont is already on your radar. 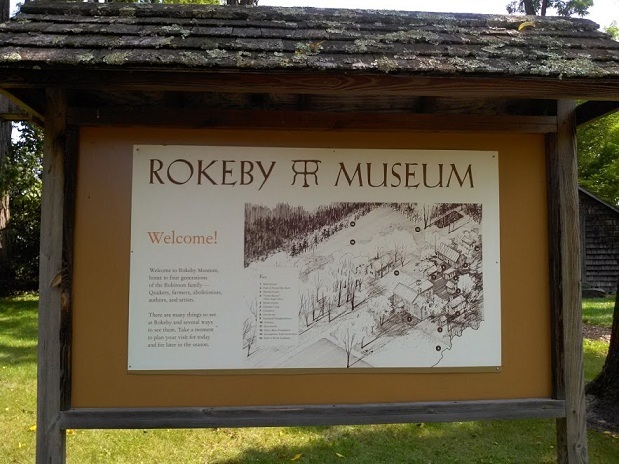 Foes of slavery have good reason to visit the state too, to visit the Rokeby Museum in Ferrisburgh, just north of Vergennes. I recently had the honor of speaking at the Rokeby about modern slavery as part of HAS’s Speakers Bureau. (You can read my prepared remarks here: http://financehistoryandpolicy.blogspot.com/2017/09/slaveryantislavery-today.html). The crowd was sizable and asked great questions, and the Rokeby staff and directors were knowledgeable and hospitable. I’m happy I made the trek from South Dakota (by car, a story in itself) to give the talk. What really made the trip worth while was on the second floor of the museum’s new main building. 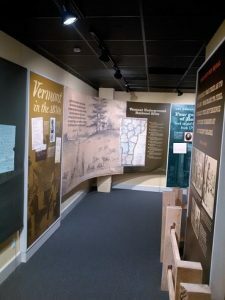 In addition to presenting the material culture of New England agriculture a century plus ago on a 90-acre spread, the museum is home to what may well be the best antislavery exhibit east of Cincinnati. 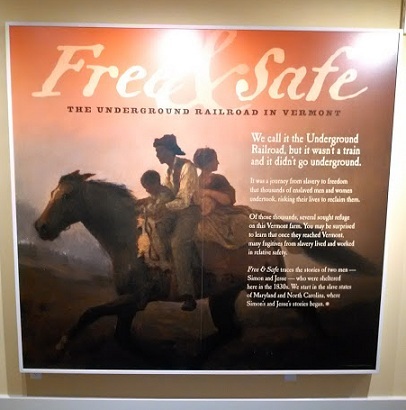 The exhibit, which includes photos, speeches expertly read by actors, and artifacts, concentrates on the experience of several runaway slaves who moved through the Underground Railroad, including the Robinson farm that now forms the core of the museum. 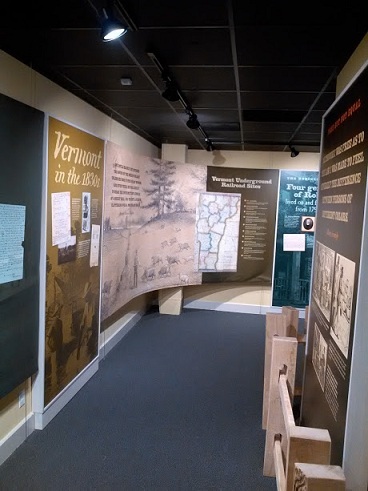 Rumor has it that the founders of HAS had more than a little something to do with the exhibit’s quality, but with all such things (I learned while curating for the Museum of American Finance a decade ago) many talented minds and hands were involved to create the overall effect. I’ve been known to cry over spilled milk, so I wasn’t surprised that the exhibit moved me to tears. It’ll melt harder hearts, too, for sure. 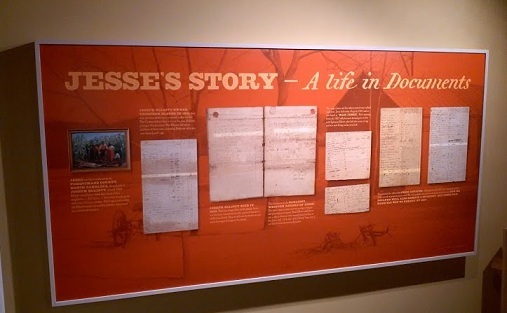 While in Ferrisburgh, you might also check out other local historical sites and markers, including one just south of the Rokeby where Frederick Douglass trod. But keep in mind that the winters up there are long and hard, and the Rokeby each year closes in late October and reopens around Mothers’ Day.